According to KFC, Henry's appearance in MBC's military program 'Real Men' which earns him a lot of nicknames such as 'rising variety idol,'army musician','4D youthful charm' and more attract them and decided to pick him as their newest model. On May 16, Henry appeared at the shooting of his CF for KFC's new menu 'Garlic Chicken'. The ad is also conceptualized to cheer for the football team of Korea. Henry's energetic behavior and lively facial expression were presented. 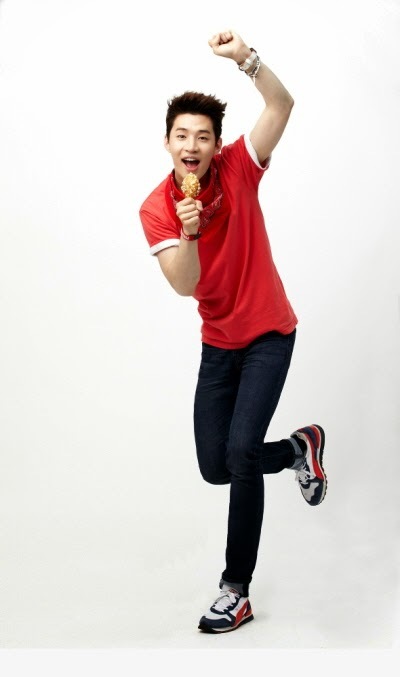 During the shoot, KFC staff praised Henry for his appetizing approach. In fact, KFC's marketing manager said, "Henry's distinctive bright and candid image of someone who really loves KFC makes him the perfect model for the ad". The new menu will be served starting on 22nd and the TV ad will be aired on 24th.